Berkshire County features a great selection of Home & Garden contractors, retailers and related services. From painting contractors to pest control, pets to plumbing contractors ...plus rentals, roofing contractors, saunas, septic tank contractors, siding contractors, swimming pool dealers and more. Need assistance, call us Toll Free at 1-800-772-7926. 186 Burbank Street, Pittsfield, MA (413) 464-1477. 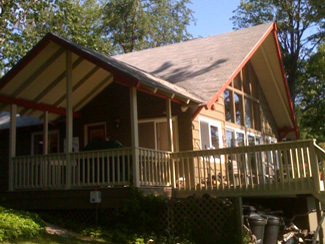 2 State Line Road, West Stockbridge, MA (413) 232-7919. 135 State Street, North Adams, MA (413) 663-3333. 109 East Hoosac Street, Adams, MA (413) 743-2097. 127 Gamwell Avenue, Pittsfield, MA (413) 442-9550. 7 Coltland Drive, Pittsfield, MA (413) 822-3957. 35 Mechanic Street, Great Barrington, MA (413) 528-5715. 486 Notch Road, North Adams, MA (413) 664-8556. 905 Dublin Road, Richmond, MA (413) 698-3376. 70 Briggs Avenue, Pittsfield, MA (413) 442-4039. 27 Green Avenue, North Adams, MA (413) 4663-4279. 69 Sleepy Hollow Drive, Dalton, MA (413) 684-4030. 35 Willow Dell Street, North Adams, MA (413) 663-6995. 109 Hancock Road, Pittsfield, MA (413) 442-1705. 478 West Mountain Road, Cheshire, MA (413) 743-2959. West Stockbridge, MA (413) 232-7919. 19 Harris Street, Pittsfield, MA (413) 443-4253. 19 Summit Avenue, North Adams, MA (413) 743-1141. 108 Blackstone Road, Florida, MA (413) 662-2717. 145 Gale Avenue, Pittsfield, MA (413) 442-3279. 251 Watson Road, Hinsdale, MA (413) 655-8693. 1591 East Street, Pittsfield, MA (413) 442-1659. 3 Redmond Lane, Pittsfield, MA (413) 442-1659. 26 East Housatonic Street, Pittsfield, MA (413) 448-8958. 418 Monterey Road, Great Barrington, MA (413) 528-3536. 578 East Street, Lenox, MA (413) 637-3080. North Adams, MA (413) 663-5130. Great Barrington, MA (413) 528-3893. 1375 Cape Street, Lee, MA (413) 822-9816. 19 Pond Street, Pittsfield, MA (413) 499-6340. 165 Water Street, Lee, MA (413) 243-2626. 770 Main Street, Great Barrington, MA (413) 528-1291. 1315 East Street, Pittsfield, MA (413) 442-5542. 505 Church Street, Lee, MA (413) 243-0100. 1525 West Housatonic Street, Pittsfield, MA (413) 464-9200. 5B Lanckton Court, Pittsfield, MA (413) 443-0443. 535 Tyler Street, Pittsfield, MA (413) 442-9578. 65 Print Works Drive, Adams, MA (413) 743-2308. 21 West Hubbard Road, Sandisfield, MA (413) 258-2816. 56 Cemetery Hill Road, Windsor, MA (413) 684-8915. 18 Faucett Lane, Pittsfield, MA (413) 499-3126. 1710 County Road, Great Barrington, MA (413) 229-6659. 25 South Church Street, Pittsfield, MA (413) 528-0090. Lenox Road, Richmond, MA (413) 698-3111. 127 Onota Street, Pittsfield, MA (413) 445-6702. 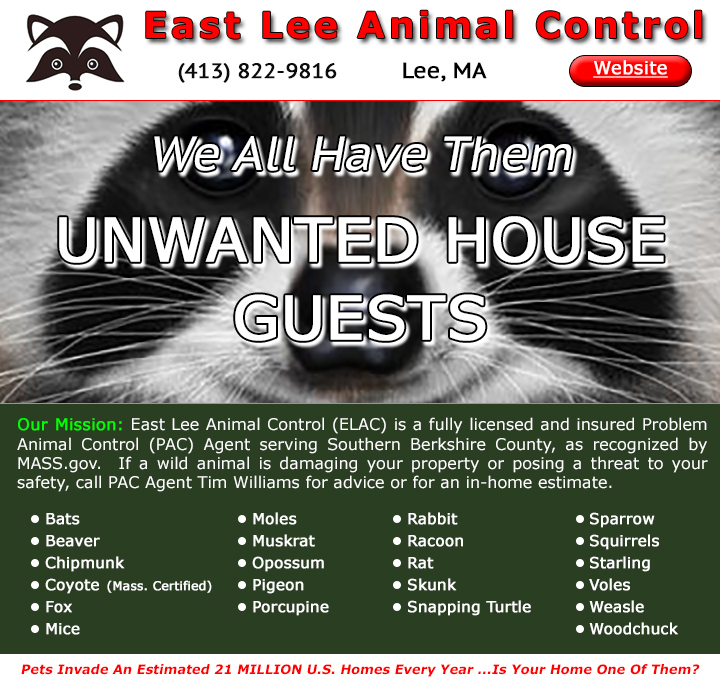 Paul Drive, Lee, MA (413) 243-1683. 115 Gas House Lane, Great Barrington, MA (413) 538-9305. 88 Fort Hill Avenue, Pittsfield, MA (413) 445-9495. 560 Stafford Hill Road, Cheshire, MA (413) 743-0976. 346 Wahconah Street, Pittsfield, MA (413) 443-4067. 175 Hubbard Street, Lenox, MA (413) 637-1418. 1050 Massachusetts Avenue, North Adams, MA (413) 663-5276. 2601 Main Street, Becket, MA (413) 623-2200. 364 Wahconah Street, Pittsfield, MA (413) 443-4067. 167 Lakeway Drive, Pittsfield, MA (413) 443-9326. 480 Pleasant Street, Lee, MA (413) 243-0072. West Stockbridge, MA (413) 232-4397. 4 East Hoosac Street, Adams, MA (413) 743-0419. 117 Chester Road, Blandford, MA (413) 848-0000. 73 Lake Buel Road, Great Barrington, MA (413) 528-4857. 21 Maple Street, Great Barrington, MA (413) 274-6600. Rte 183, Stockbridge, MA (413) 298-3249. 5 Mountain View Avenue, Great Barrington, MA (413) 274-6080. 2084 Monterey Road, Monterey, MA (413) 269-0207. 495 Chapel Street, Lee, MA (413) 243-2494. 397 Main Street, Dalton, MA (413) 684-0021. Al Smith Gutter Systems offers high quality metal roofing to customers in Berkshire County, MA and the surrounding areas. We are a locally owned and operated company that has served the area for more than 30 years. Our years of experience, custom products and extensive resources set us apart from the competition. We guarantee you will receive a good-looking, reliable product when working with us. Call us today to ask any questions or to schedule your service. We look forward to serving you. 40 Rosseter Street, Great Barrington, MA (413) 528-1251. 230 4th Street, Pittsfield, MA (413) 347-7736. 290 Pleasant Street, Lee, MA (413) 243-0570. 155 Pomeroy Avenue, Pittsfield, MA (413) 442-8991. 187 North Washington State Road, Washington, MA (413) 441-4840. 16 Fairgrounds Avenue, North Adams, MA (413) 329-8237. 20 Keeler Street, Pittsfield, MA (413) 442-8613. 98 Woodland Road, Lee, MA (413) 243-2742. HC 63, Lee, MA (413) 243-2124. River Road, North Adams, MA (413) 662-2730. 489 State Street, North Adams, MA (413) 664-9415. 61 Prospect Street, Chester, MA (413) 354-2290. 79 Brush Hill Road, Great Barrington, MA (413) 528-4880. Route 8, Hinsdale, MA (413) 655-8364. 77 Park Street, Pittsfield, MA (413) 443-6689. 33 Crane Avenue, Dalton, MA (413) 441-2202. 338 Prince John Drive, Becket, MA (413) 568-6300. Crystal Street, Lenoxdale, MA (413) 637-3189. 537 Ashland Street, North Adams, MA (413) 664-2076. 20 Robert Street, Pittsfield, MA (413) 443-0023. 168 Vin Hebert Blvd., Pittsfield, MA (413) 499-4125. Garage Street, West Stockbridge, MA (413) 232-0016. 480 Housatonic Street, Lenox Dale, MA (413) 637-1719. 600 Upper Valley Road, Washington, MA (413) 623-5079. 91 West Union Street, Pittsfield, MA (413) 841-7504. 15 Pomeroy Avenue, Pittsfield, MA (413) 442-8991. 58 Washington Avenue, North Adams, MA (413) 664-9163. Roofing, Siding, Windows, Doors, Decks, Interior Remodeling & Painting, Free Estimates. License #082524. (413) 443-9331. 8432, 3 Juliana Drive, Pittsfield, MA (413) 499-0512. 40 Joan Drive, Pittsfield, MA (413) 443-7679. 996 Pecks Road, Pittsfield, MA (413) 445-4939. 43 Monument Valley Road, Great Barrington, MA (413) 528-5988. 132 April Lane, Pittsfield, MA (413) 443-2895. 14 Oak Lane, Adams, MA (413) 743-4881. 74 Columbia Street, Adams, MA (413) 743-0701. 26 Yorkshire Avenue, Pittsfield, MA (413) 443-2895. 34 Meadow Lane, Lanesboro, MA (413) 445-4411. 9 Pleasure Avenue, Pittsfield, MA (413) 448-8771. 1142 Bow Wow Road, Sheffield, MA (413) 229-3055. 1609 County Road, Sheffield, MA (413) 229-6001. New Marlboro, MA (413) 229-8689. Great Barrington, MA (413) 528-1973. 274 Wahconah Street, Pittsfield, MA (413) 442-4420. 720 South Main Street, Lanesboro, MA (413) 442-1215. 48 Greylock Estates Road, Lanesboro, MA (413) 443-7464. 101 Yokun Avenue, Lenox, MA (413) 637-0026. 17 Church Road, Florida, MA (413) 664-7991. 181 Tamarack Road, Pittsfield, MA (413) 442-3038. 22 Richardson Street, Pittsfield, MA (413) 242-8538. 207 Elm Street, Pittsfield, MA (413) 443-0056. Great Barrington, MA (413) 528-5443. 224 Housatonic Street, Lenox, MA (413) 637-0488. 87 Hall Street, North Adams, MA (413) 663-7673. 33 Melrose Avenue, Pittsfield, MA (413) 212-2504. 12 Club Circle, Pittsfield, MA (413) 528-4585. Roofing, Siding, Windows, Doors, Free Estimates. License #082524. (413) 443-9331 or (413) 447-5104. 3 Juliana Drive, Pittsfield, MA (413) 499-0512. 185 Fenn Street, Pittsfield, MA (413) 464-7520. 161 Wahconah Street, Pittsfield, MA (413) 443-0613. 661 Main Street, Dalton, MA (413) 684-3115. 108 West Housatonic Street, Pittsfield, MA (413) 499-7785.